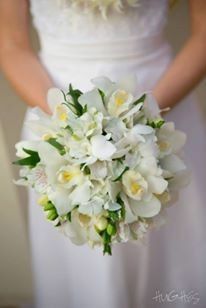 Cora and her staff is amazing, they are very friendly and Cora is a masterpiece at what she does for Bouquets, Leis, Bout, flower girls, centerpieces. 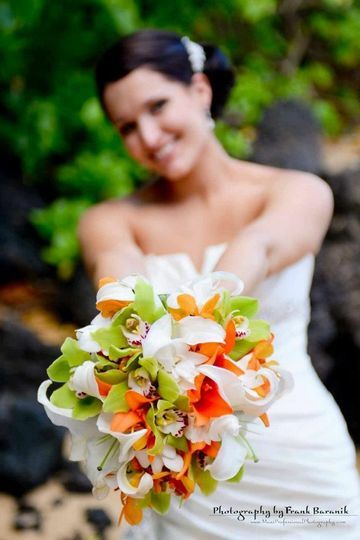 I would recommend her services above any other florist on Maui. 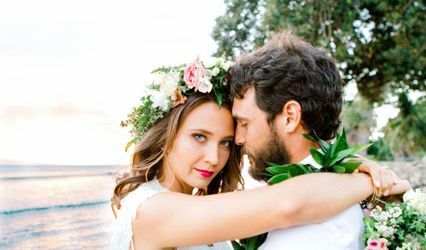 Flowers by Cora did an amazing job on my Maui wedding bouquet and flowers--the flowers were fresh and they clearly have a great eye for balance, colors, and style. 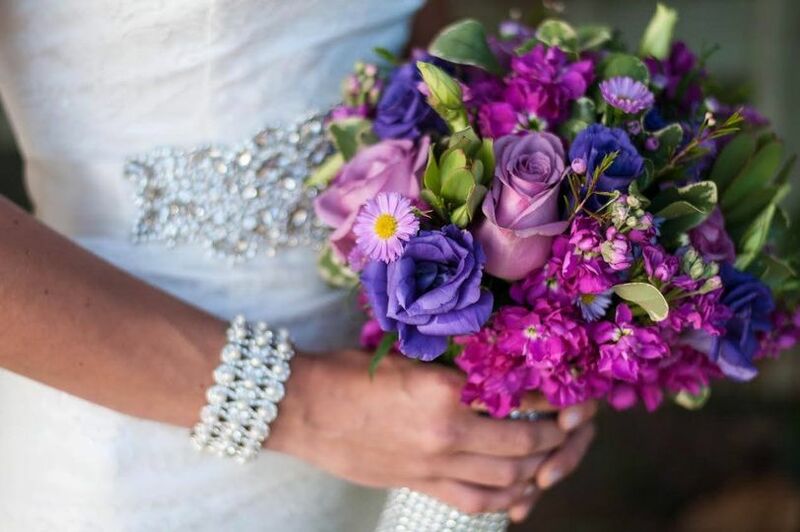 I requested a custom bouquet based on a picture I found and they absolutely nailed it! I couldn't have been happier. 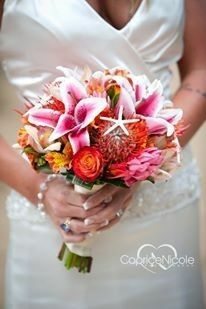 Flowers By Cora did an amazing job with our wedding flowers. 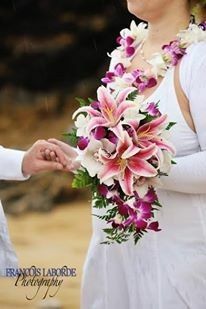 We got a bouquet, haku (a ring of flower around my wife's head) and leis for us and our guests. 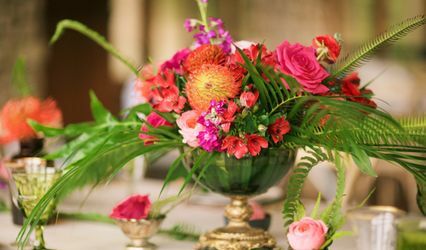 All the flowers were fresh and everything was made with care. 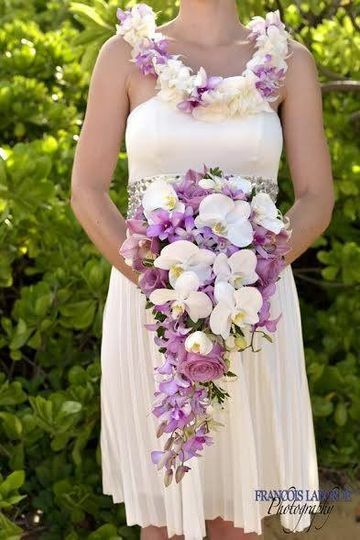 The end result was beautiful tropical flower bouquet complimented Laura's (bride) dress and also went well with her makeup. 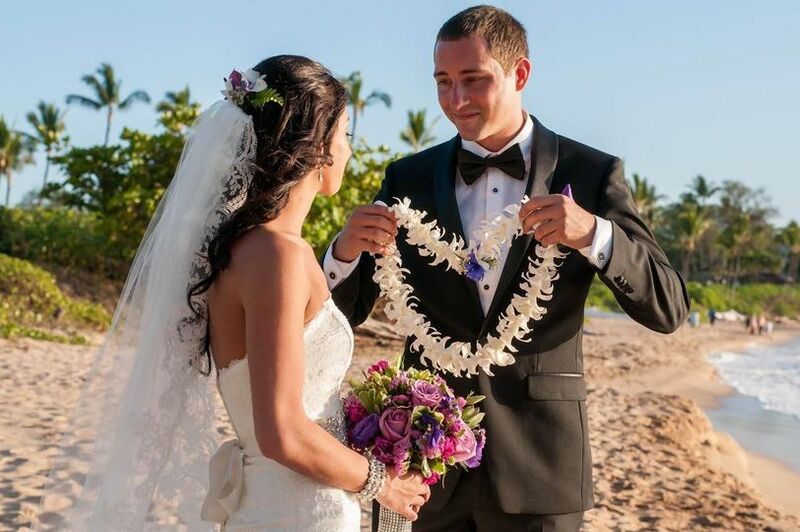 My coordinator was Peggy from Maui Aloha Weddings and she was amazing too. Professional, responsive to any questions and concerns I had via email and is truly awesome at what she does. 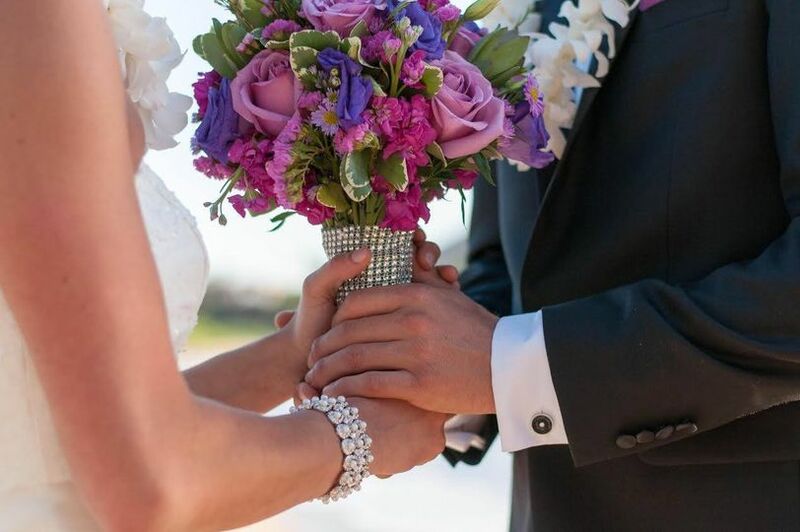 We got so many compliments on our beautiful photos from Mike Yeany Photography, he did an outstanding job. Our minister was Rev. Kuya and everyone loved his ceremony. 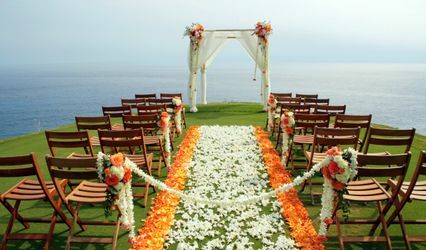 I would highly recommend using the whole team if you ever plan on a wedding in Maui!